So much has changed for this generation: fashion, food, health advice etc. I believe the biggest change of all is technology: the internet and smart phones, tablets and television. It's truly wonderful that we can all be connected to so much information, connected to each other and have instant access to almost anything we want: one click shopping, a takeaway, films, and music. Working as a Tinies emergency nanny, I get to see technology at work in a number of different ways, every day. This has led me to ponder on the long term effects of technology on families, especially child development. A BBC documentary 'Babies, their wonderful world' showed a basic experiment between two groups of children, the first had no access to smart technology, the second group regularly played games via phones or tablets. 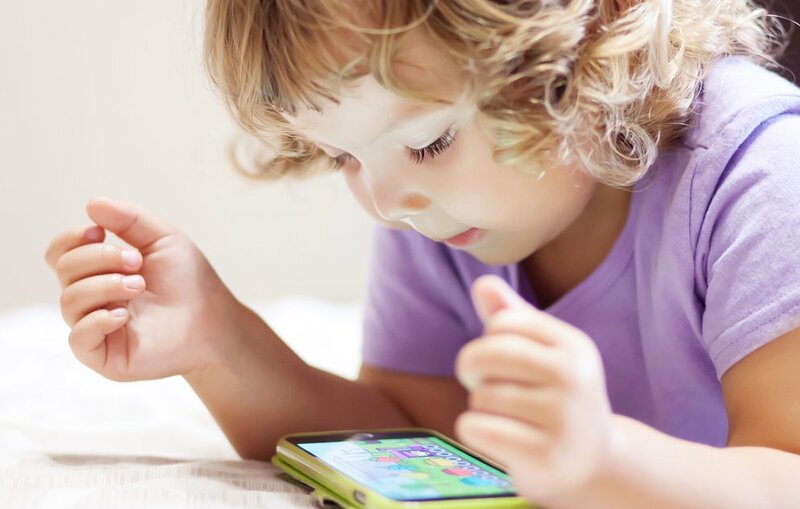 Interestingly, some of the children who had access to the games which involve swiping, or tapping experienced increased fine motor control, and there were further examples of both benefits and disadvantages. It's almost always my job to help families keep to their own routines and habits following the mother's lead, what I've noticed is that technology cannot replace the vital interactions between babies and children and their caregivers. I've observed that these smart phones, tablets and the television are often used, for many hours at a time, with little supervision and mainly, to keep children quiet. My experiences have also alerted me to other changes in the way families interact. A small brightly coloured plastic toy which reads stories, or sings nursery rhymes in a robotic voice does not provide the same interactions as a loving carer and child sharing stories and songs together. Parents are glued to their phones as they shuffle the pushchair along, chatting endlessly to their friends but missing the cues and chances to interact with their children. I can't help but wonder what sort of example we are setting them? The first five years are the most important in terms of a child's brain and language development. What are the consequences going to be for this young generation? One family from overseas needed emergency daily childcare on a visit to the UK- that is a job I will never forget. Their three and a half year old was so totally addicted to the iPad that it ruled their lives. Any attempt to divert the child to do something else, using proven diversionary tactics, failed, and the explosive meltdown caused when the iPad broke is seared into my memory. I have never come across such an addiction in a small child, and I never want to again. On a positive note I've also helped many families who have a balanced outlook. An hour's technology or TV per day, mixed in with indoor and outdoor play, stories, and a wide range of other activities. I've even come across technology to monitor technology with apps such as Moment automatically tracking usage. Every family is different and I understand that they will set their own parameters, I just hope that in all the technological advancements, children and their wellbeing still come first. As adults, we're role models and we need to think about our own technology usage and perhaps modify it, while making sure the parental controls are switched on so the children can't accidentally access the darker side of life.